He is the Law, and He's also goddamn adorable! 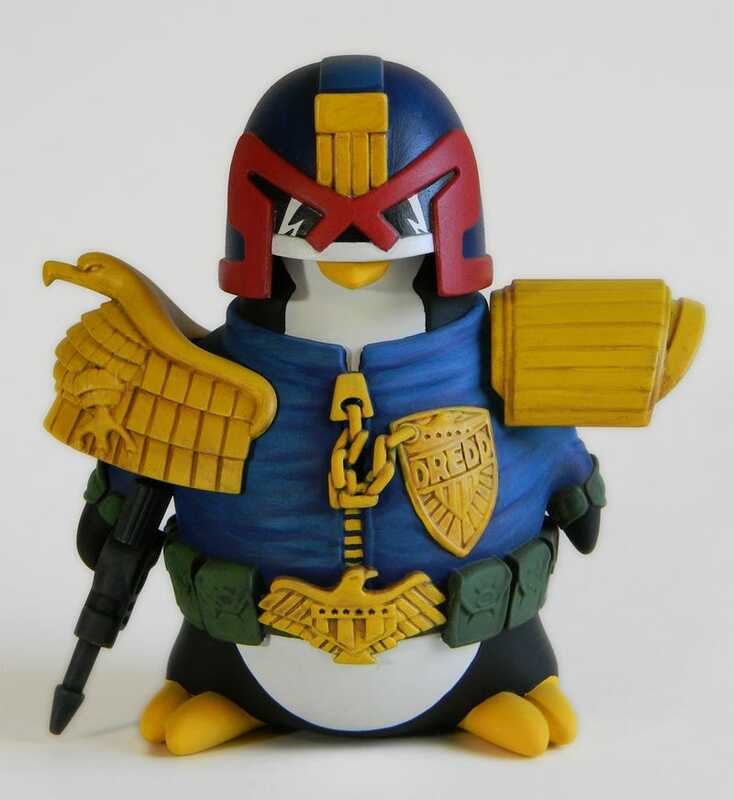 This new vinyl toy from Blind Mouse Toys combines the grim, harsh world of 2000AD's Judge Dredd with all the cuteness of penguins into one lovely vinyl toy. Cosplay Penguin has taken a while to arrive, but now the first in the series (there's going to be more penguins dressing up as things, oh my god!) is finally available, and he looks glorious. The lovely little guy stands at around 4.5 inches tall, and although you can't remove his helmet to see the penguin beneath it, he does come with a removable Lawgiver. But why would you take his Lawgiver away from him? This Penguin needs it TO DISPENSE JUSTICE. I can't take it. This is too much cute. If you want a Cosplay Penguin, they're available now on Blind Mouse Toy's website for $40.